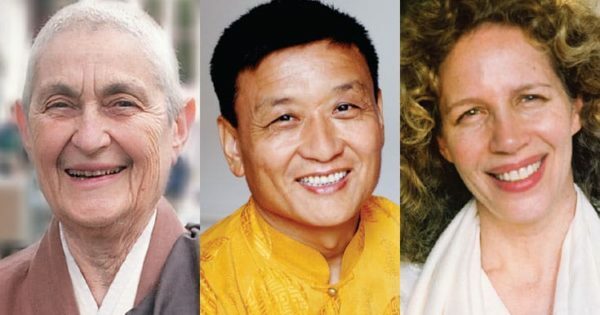 Geshe Tenszin Wangyal Rinpoche, Narayan Helen Liebenson, and the late Zenkei Blanche Hartman answer a reader’s question. Question: Buddhism stresses having compassion for others, trying to reach the “soft spot” in their hearts in order to communicate with them. However, recently, in my own life, I have come to realize that there are people who do not wish me well and, in fact, actively pursue harming me in some way. Devious and manipulative people do exist and being in their presence can feel truly toxic. In fact, I’ve experienced real physical symptoms of illness and weakness when I am in the presence of such people for too long a time. Is it ever permissible to stop trying to connect with this type of person and just remove oneself as much as possible from their negative influence? 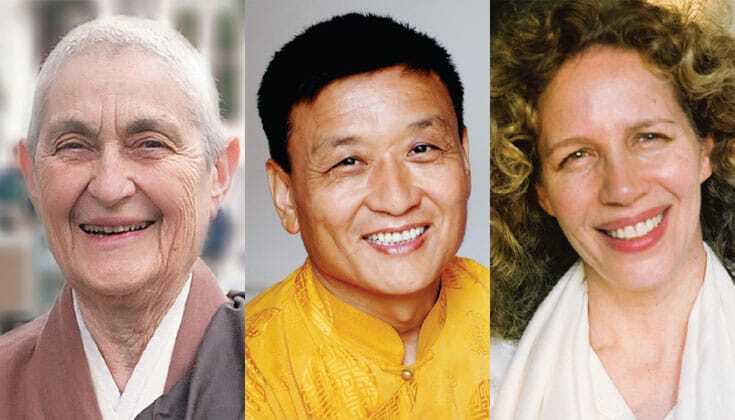 Geshe Tenzin Wangyal Rinpoche: In answering your question, it is important to address the human tendency to think that some people are inherently bad. There are cases in history where many people have agreed that a certain person was evil. Through our agreement, we reinforce the view that there are indeed evil people, but it is important to realize that a person and his or her actions are always in relationship to relative causes and conditions and that no person is inherently bad. A fundamental view of Buddhism is that all beings are inherently buddha. So we have to hold that possibility in our minds, that space to recognize another as buddha. We need to realize that while for us a person may appear mean or deceptive, in another circumstance, or to another person, that person could be loving or humorous or supportive. There is always a possibility of goodness. Knowing that goodness is possible in all beings supports openheartedness in us. Consider the analogy of the flame and the wind. If you are a flame, a light, and you are stronger than the wind, the wind can help you grow. If you are weaker than the wind, that wind will extinguish your light. The force of that wind is not a helpful condition for you, and so you need protection from that wind, or must avoid that wind altogether. When you make the decision to avoid another person, it is important to realize that this is a question of your strength and not the inherent evil of the other. If you say, “Well, I realize it is possible that this relationship could go another way, but given our stories, or our history, or the force of the emotions that arise, that is not happening,” you are still leaving space in yourself for the goodness of that person to exist, even though right now you do not find it possible to meet that other person in that space of goodness. In the end, it is important to realize that we are never really talking about others; we are always talking about ourselves. If you think in terms of black and white, good and evil, you are not working well with yourself; you are closing something off in yourself. So while you must be honest and deal with each situation according to your capacity (which includes avoiding those situations that cause you harm), always acknowledge the space within yourself that recognizes the possibility that goodness exists in everyone, that all beings are inherently buddha. That space within you can never be destroyed, and if nourished, will ripen as your awakened mind. However, that space within you can be obscured by fear and by black-and-white thinking. That is the enemy to be avoided. Devious and manipulative qualities surely do exist. Pretending otherwise is naive. We Buddhist practitioners are constantly working with the edges of our ego or idea of self in the world. The great teacher Dogen Zenji said, “To study Buddhism is to study the self.” This work is how we come to know the nature of ego, which is essentially a reactive phenomenon. Reactivity is just that – a result of our feeling some kind of impingement, whether internally or externally. In the extreme case, when we are feeling overwhelmed and not sure how to act, it is OK to take a step back, to remove oneself, and let the feelings, thoughts, and body settle. The whole process can then be quietly examined. It is not necessary for you to connect with everyone you meet, nor should you feel that this is a condition of your practice. You are completely free to choose whom you wish to spend your time with. What you are describing, though, is a particularly painful situation. A spiritual friend might be of great benefit in helping you to further explore these issues. 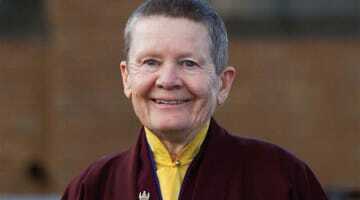 Narayan Helen Liebenson: What is required in the situation you describe is genuine compassion combined with wisdom. Remaining in an unhealthy situation is not wisdom. An example of this would be an abusive marriage: using the dharma as a reason to remain in such a situation is misguided. This is false equanimity. Cooperating with the unskillful actions of another won’t benefit you or the other person. Everyone has buddhanature, but for some, buddhanature is quite obscured. Devious and manipulative qualities surely do exist. Pretending otherwise is naive. Our intention is to wake up, not to be naive or foolish. 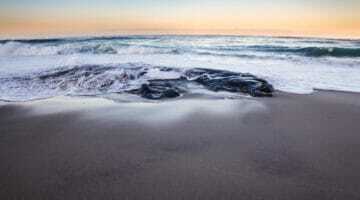 Self-knowledge includes being able to discern when something or someone may be harmful to us. However, because of our conditioning, this may be difficult; we may need to experience a kind of awakening to learn how to protect ourselves. The Buddha, recognizing how easily influenced we are by others, said that we should spend time with those who have the qualities that we want to have: so if we seek to learn patience, be with people who are patient. If we want to cultivate wisdom, be with those who are wise. Of course, this does not mean judging or shunning those whom we perceive as not having the qualities we admire. Nor do we want to delude ourselves into thinking that our happiness lies in the hands of those who possess those admirable qualities. If we think that someone else can make us happy or unhappy, we are caught in delusion. Skillful avoidance is one of the four kinds of wise effort. For instance, if the difficulty lies at work, we may want to look for a new job. Since our choice of friends is within our control, we may choose to spend time with different friends. With family, it may be best to take a break, with the commitment to come back when we feel stronger. Please remember, however, that the intention with which we take action is of utmost importance. If we break off contact with someone out of aversion, the result will be a greater degree of aversion, suffering, and contraction. If actions come out of wisdom, the result is more wisdom, clarity, and compassion. Every relationship tests our limitations. It is important to know these limits if we are to remain inwardly free even in the face of provocation. We may let go of physical contact with those whom we feel are toxic to us yet find that we are still inwardly in contact because of our negative thoughts and emotions. So letting go of the outer contact doesn’t negate the need for inner work. Some of the most difficult work in life is taking complete responsibility for each and every reaction that we have – without blaming ourselves for the fact that reactions do arise. The inner work is to learn how to love all beings unconditionally. This is very difficult! As the Hindu guru Neem Karoli Baba said, “Don’t throw anyone out of your heart.” Sometimes the only way we can remain loving is to let go of contact with particular beings. Sometimes the best and wisest thing to do is to send loving-kindness from afar. But we still need to do the inner work at some point or another in our lives, otherwise the cost to our hearts is very high.